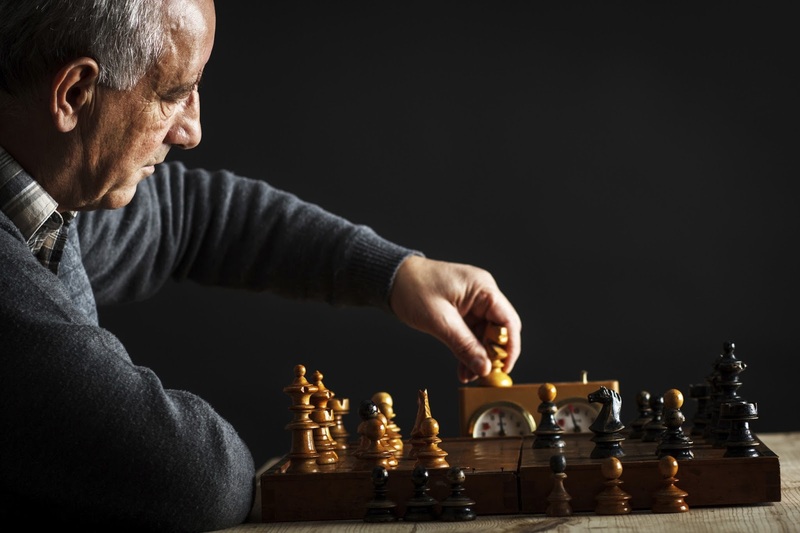 BPS Research Digest: Why do more intelligent people live longer? It’s always gratifying, as a psychologist, to feel like you’re studying something important. So you can imagine the excitement when it was discovered that intelligence predicts life expectancy. This finding is now supported by a large literature including systematic reviews, the most recent of which estimated that a difference of one standard deviation in childhood or youth intelligence (that’s 15 IQ points on a standardised scale) is linked to a 24 per cent lower mortality risk in the subsequent decades of life. That’s a pretty impressive link, but it immediately raises a critical question: why do brighter people live longer? A new study (pdf) published in the International Journal of Epidemiology attempts to provide new, biological evidence to answer this question. But first, let’s think through the possibilities. We know that people with higher IQ scores tend to be healthier, possibly because they eat better, exercise more, are better able to understand health advice, are less likely to be injured in accidents and deliberate violence, and also because they tend to have better jobs. Here, the causal arrow is pointing from IQ to longevity – the effects of being smarter cause you to die later. But there are other explanations: what if having a lower IQ is just an indicator of an underlying health condition that’s the real cause of earlier death? Or what if the genes for having a healthier body are also the genes for having a healthier brain, and the causal pathway is from this third variable (i.e. genetics) to both IQ and longevity? The authors of the new study, Rosalind Arden and colleagues, tested this last hypothesis, known as "genetic pleiotropy" (the idea that the same genes influence multiple different traits). They took three twin datasets, selecting in total 1,312 twin pairs where one or both of the twins had died. Then they correlated the twins’ IQ scores with the lengths of their lives (or their life expectancies, for those still living). As they expected, the researchers found an overall lifespan-IQ correlation, albeit a small one (r = 0.12, where 1.00 would be a perfect match). Importantly, by comparing the correlations in identical twins (who share all their genes) versus fraternal twins (who share approximately half), they were also able to estimate the "genetic correlation" – the overlap in the two traits that’s caused by genetic differences. They found that, overall, 95 per cent of the correlation in IQ and longevity was due to genetics. So, is this a final answer to the debate over the IQ-mortality connection? Does this show that, perhaps depressingly, the link isn’t due to changeable lifestyle factors, but actually some kind of genetic "system integrity" that underlies brightness and longer lives? new book is out now. Not so fast. The important part is in the phrase "due to genetics". In a 2013 Nature Reviews Genetics article, geneticist Nadia Solovieff and colleagues outlined all the potential causal mechanisms that might make two traits genetically correlated. They drew a critical distinction between "biological" and "mediated" pleiotropy. The former is the "obvious" inference, which is that the same genes cause both intelligence and longevity. But the latter possibility is that the variables only appear to be genetically correlated, because genes cause one factor, which then goes on to cause the other. That is, if genes cause intelligence, and intelligence (via lifestyle choices etc.) causes a longer lifespan, we’d still see the same genetic correlation, even if those genes have no direct effect on lifespan itself. If true, this would still be pleiotropy of a sort: the genes linked to intelligence are having an indirect effect on lifespan. But as the authors acknowledge in their paper, this "pleiotropy-lite" interpretation of the new findings would mean we don’t yet have knockdown evidence for the genetic "system integrity" idea. So how do we tease apart the two possible explanations for the genetic correlation? In the paper, the authors suggest we study non-human animals (for which the literature on cognitive ability is growing fast) where we can more readily control the "lifestyle" factors, thereby isolating any potential direct effects of the same genes on both intelligence and longevity. Really, though, we might have to wait until we have a long list of genes that are reliably linked to human intelligence. If we knew a good number of those, we could test whether they also influence health and lifespan – if they did, this would be evidence for true "biological" pleiotropy. We’d know then that the link between IQ and lifespan is down to some people simply winning the genetic lottery, rather than to lifestyle factors that any of us could change. Conflict of interest: Stuart Ritchie is a postdoc in the lab of Ian Deary, one of the co-authors of the paper discussed here.